The United Nations Stabilization Mission in the Democratic Republic of Congo (MONUSCO) says it will bolster security in the restive northeastern part of the country, ahead of the November 18 general elections. Senior military officials of the UN mission recently met in Bukavu to review its strategy to “preemptively” combat armed insurgent groups in the country. He adds that the review enables MONUSCO to take a “proactive” approach to Congo’s security situation. Some north Kivu province residents have expressed concern about the resurgence of attacks by armed groups there. Analysts say the insurgents have stepped up attacks due to the upcoming vote. They warned that the armed groups could launch more attacks on civilians. But Basse says MONUSCO will continue to keep its mandate, which he said is to protect unarmed civilians. “We are conducting more and more unilateral operations, but we are also conducting some joint operations with FARDC [Congo’s national army] whether in Ituri in north Kivu or in south Kivu or Katanga. 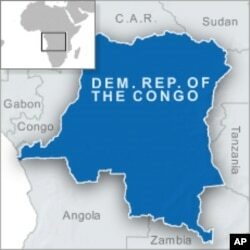 Our role is to support FARDC and to support the government of the DRC,” said Basse. He adds that MONUSCO has stepped up its patrols to instill public confidence. “The MONUSCO force is with them on a daily basis, and we know exactly what they are going through. This gives us more opportunity, more dedication, more commitment to try to protect this population, which is at the heart of our mandate,” said Basse. Kinshasa and MONUSCO signed a memorandum of understanding calling on the mission to help the electoral body organize the November elections. Basse said MONUSCO will keep its part of the agreement. He also says the group will contain any possible threats in the upcoming vote. Reverend Daniel Ngoy Mulunda, chairman of the Independent National Electoral Commission [CENI], says the electoral body is partnering with the international community, including MONUSCO, to ensure the November 18 general elections are credible.